Stick on labels and slips for various applications. 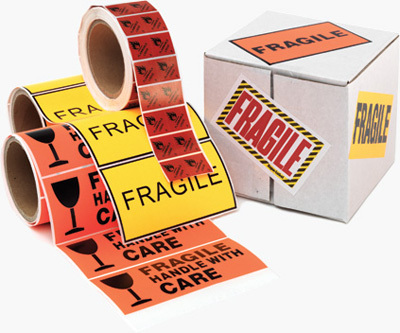 Coloured identification labels, fragile, keep upright labels, top load only, invoice and packing slips. If it's something specific you require, let us know and we will get it for you.